FeastHome – Renovating a kitchen is the way to increase your cooking spirit. 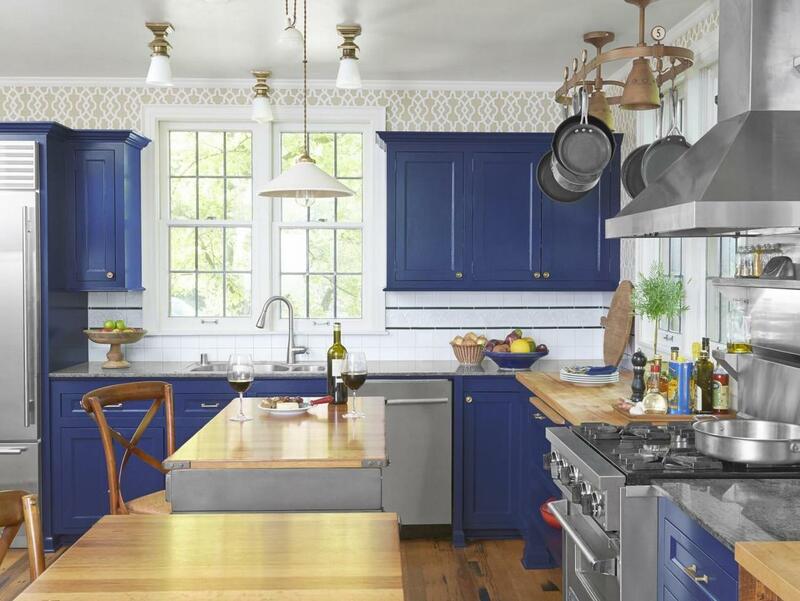 For brighter option, you may take bistro style for your kitchen. 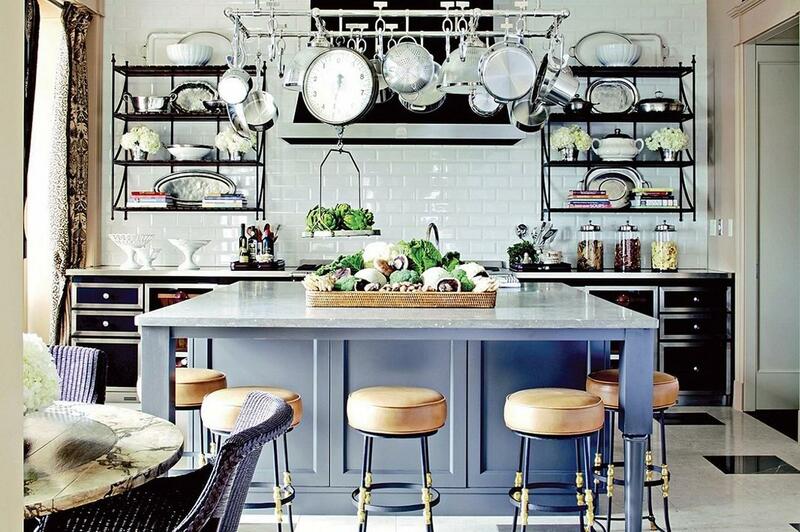 Here, there are 10 bistro kitchen style ideas you can apply. Your kitchen looks fresh and attracting at the same time. Indeed, you will have a spirit to cook a variety of healthy and delicious for your beloved family every day. You can start to create a bistro kitchen style by choosing the right furniture. For example, you can put a large table in front of the kitchen. It is better to use several bar stools to make your kitchen looks spacious. You don’t need to separate the dining room with the kitchen. Just put a round dining table with several armchairs. Choose a cabinet with a lot of drawers and doors to keep everything tidy. The kitchen cabinet is not enough to keep all the kitchen utensils, try to install a hanging cabinet. Applying soft colors such as white cream, light gray, black, white, and pastel is a great decision to make the bistro kitchen appealing. It doesn’t matter if you only have a small kitchen because you are still able to create an outstanding bistro kitchen. Just put a rectangle dining table in the middle of the kitchen. You can create a custom rectangle dining table by adding an adjustable connector. It seems that you have one dining table but if you adjust the connector, you have two! Put several kitchen cabinets with drawers and door and also a hanging cabinet if it is necessary. Try to apply some specific color such as dark blue, gray, and wooden color. Putting some stainless steel kitchen utensils give a perfection in the kitchen. Are you an artist and a cooker? Just combine it while remodeling your beloved kitchen. You can start the project by applying white for the kitchen wall and floor so you can mix it with any kind of artistic items you want. Now, put a medium wooden square dining table set with several contemporary chairs. For a small kitchen, you just need to put a small cabinet and something you need most such as a stove, sink, oven, and a refrigerator. Install two layers hanging cabinet to put things that you commonly used. The fun part is adding the touch of an artist such as adding your best paintings or some small bulbs to give more lights. It’s your luck if you have a large kitchen at home. You may use two different types of tiles to give a clear separator between the kitchen and the dining. Put a rectangle dining table and contemporary dining chairs. Wood is always working to get the cozy and comfortable atmosphere. Then, you can put a big cabinet which has a sink on the top. Use it as a table and to make put some bar stools to give more spaces to sit. 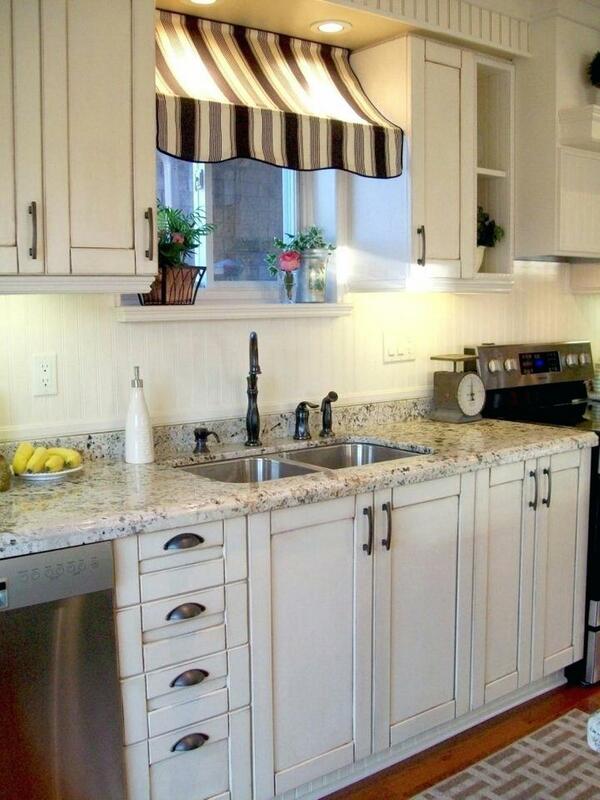 Make the bistro kitchen simpler by putting white and white color including for the cabinet and the hanging cabinet. 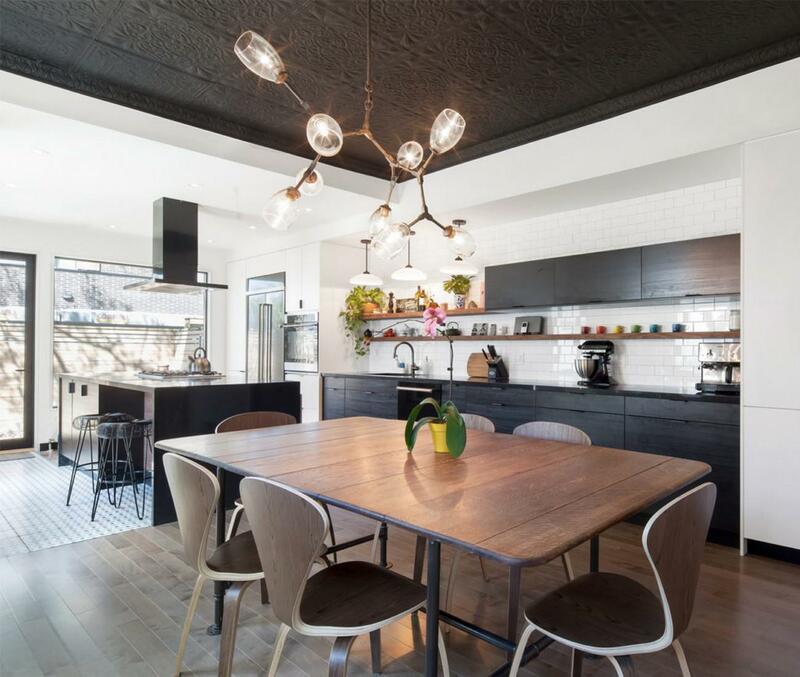 For an eye-catching option, install a unique hanging lamp on the dining room. Indeed, you have a cool bistro kitchen and dining room at home. Do you like something traditional? If it is so, this bistro kitchen can be a good example. Wooden furniture is a flexible item including a traditional bistro kitchen style. Just put a wooden dining table and ladderback chairs for the dining area. 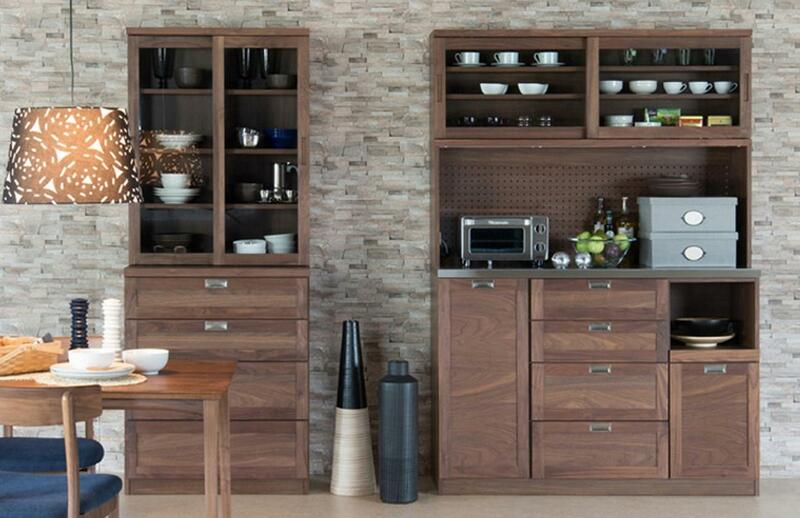 Use tall cabinets with some drawers and doorless storage. To give more texture, you may also apply stone tiles for the kitchen wall. Adding some accessories including a tube hanging lamp and artistic items will make your kitchen and dining area looks comfortable and warm. Just take blue, white, black, gold, and gray to balance the wooden color. Now, you have a small kitchen and dining room but it might make you come home all the time to cook or eat something. Sometimes, you miss your mom’s kitchen, aren’t you? You can create it at home. Use a white or pastel base kitchen cabinet along with kitchen sink at the top of it. The ceramic material is perfect for a classic kitchen. For additional storage, install white hanging cabinets and it will be great to install of the parts close to the kitchen window if you have it. You may also install a curtain or a cover for the window. Use wooden design tile, some plants and flowers, fruits, and ceramic kitchen accessories to finish the kitchen. Now, you have really a bistro kitchen just like your mother had. 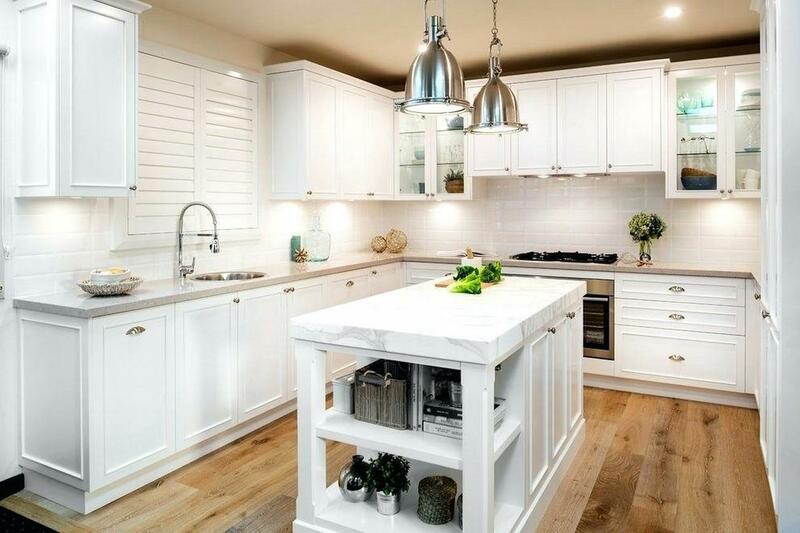 White lovers will absolutely love this bistro kitchen. Everything is white including the base kitchen cabinets, hanging cabinets, and the kitchen table. You can mix it with a cabinet with a glass door, wooden tiles, ceramic kitchen sink, ceramic table, and stainless steel kitchen accessories. Don’t forget to put a real plant or flower there to make the kitchen looks fresh. This is a perfect kitchen design for those who really concern about its hygiene a lot. Your kitchen looks solid with all of them. The most important, you still have space to walk in the small kitchen and prepare special meals for the family. 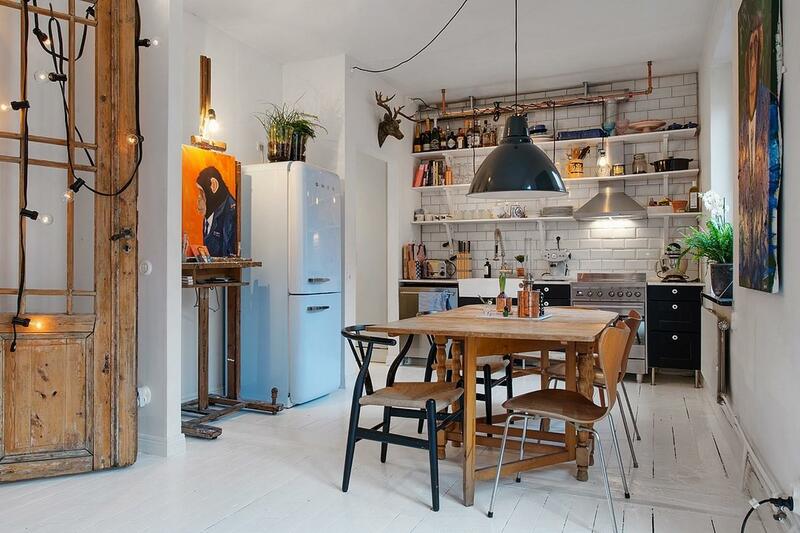 Industrial bistro kitchen is also a brilliant idea to apply. What you need is a brick wall, windows with glasses, and all industrial theme accessories. You can make a bar by adding a large rectangle table with glass at the top of the table and add some bar stools. Instead of using a base cabinet, just use a hanging cabinet and make sure that you hang it not too close with the window. Some lamps with colorful glass or aluminum covers will increase the sense of the industrial in the kitchen. Hanging a medium or large chalkboard is a good idea and you can use it to write some important notes. 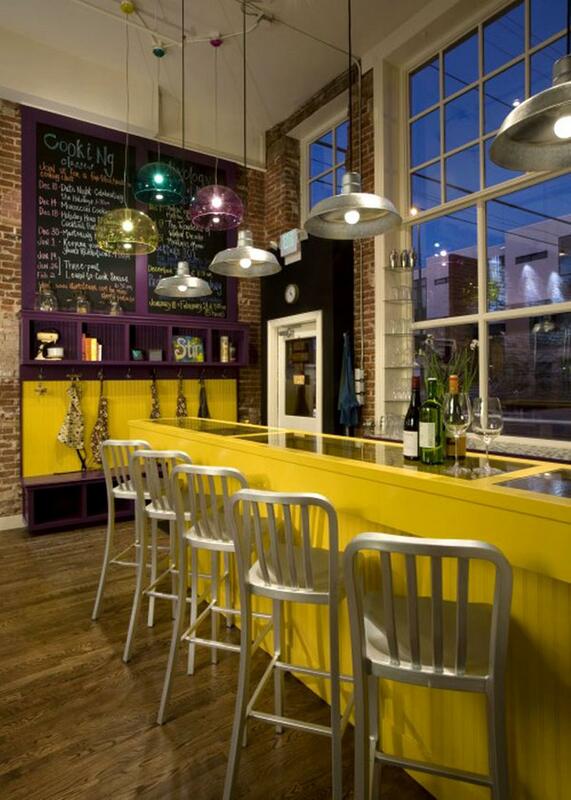 Yellow, purple, green, and gold are several cool colors for an industrial bistro kitchen. Natural bistro kitchen style is also a favorite option. The natural overview increases the warm and comfortable atmosphere in the kitchen. The best material for a natural kitchen design is wood. It is better not to use too many items and colors. You just need to put a dining table set and it might be a rectangle dining table along with side chairs or armchairs. Then, put a base cabinet with a wooden table. Hanging a long wood board is also a good decision so you can get more storage to put some important kitchen utensils. 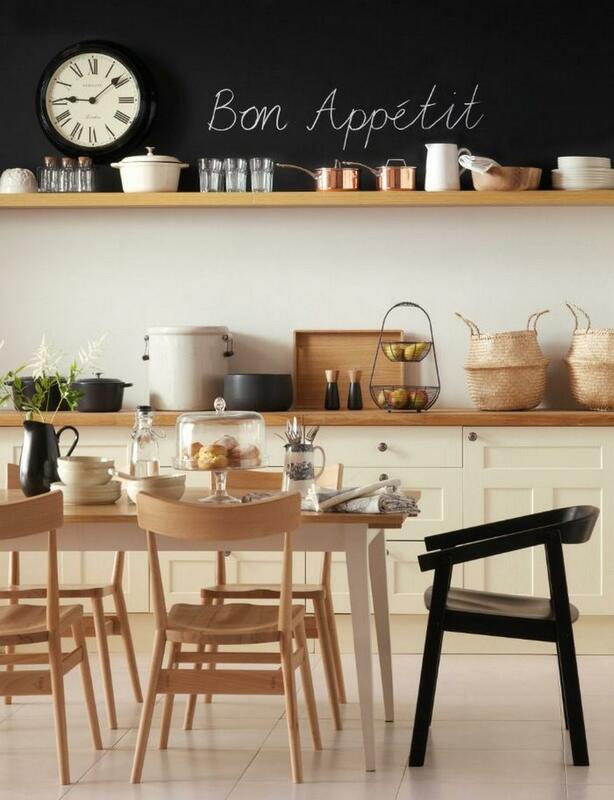 For a more attractive design, try to hang a large blackboard and write anything you want there. Just make sure that you keep ceramic tableware, glasses kitchen accessories, or rattan baskets or anything as long as it boosts the natural sensation. So, which one of the kitchen designs you want to apply to remodel your old kitchen? The example above shows that creating a bistro kitchen style is easy and fun to do. Later, you will get the most comfortable area to eat with your lovely family.